As with all successful arcade games of the 1980's, Atari's Star Wars was eventually ported to just about every commercially viable home-computer format available. Unfortunately, for ZX owners 'eventually' is the key word here due to the Spectrum sadly missing out on the initial 1983/84 Parker Brothers port - they had to wait until 1987 before they could officially relive the arcade experience at home courtesy of the later Domark conversion. However, and thanks to the work of three talented and enterprising Leeds university students, Spectrum gamers got to experience their own version of the Deathstar battle sequence in Realtime Games Software's acclaimed '3D Starstrike', an unashamedly-blatant Star Wars clone that hit the market shortly following the cancellation of Parker Brother's planned Interface 2 cartridge version. 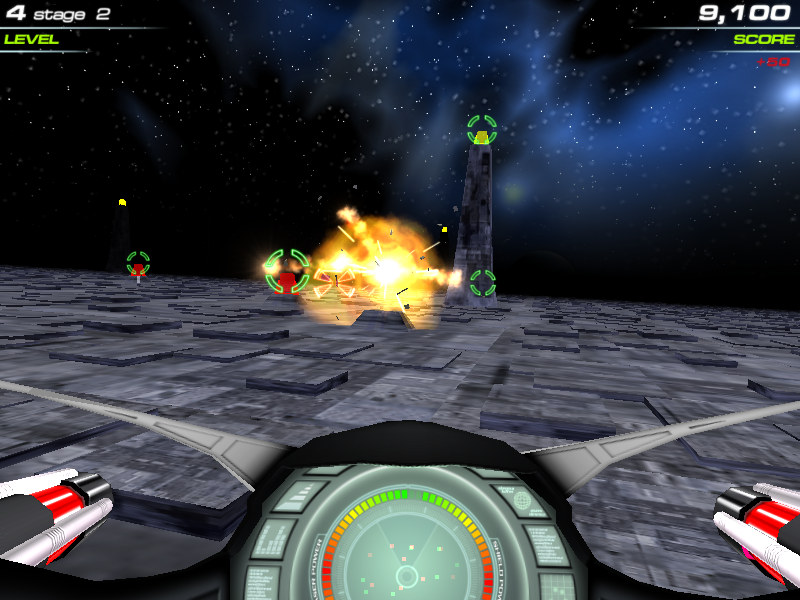 With it's near arcade-perfect space combat, surface, equatorial duct and reactor sections (the latter stage being unique to the game), 3D Starstrike proved to be massively popular - and amongst it's many, many fans was a young Andrew Nixon, who in 2008 (over two decades later) would finally release what has been one of the most long-awaited games to grace the Retro-Remakes scene. 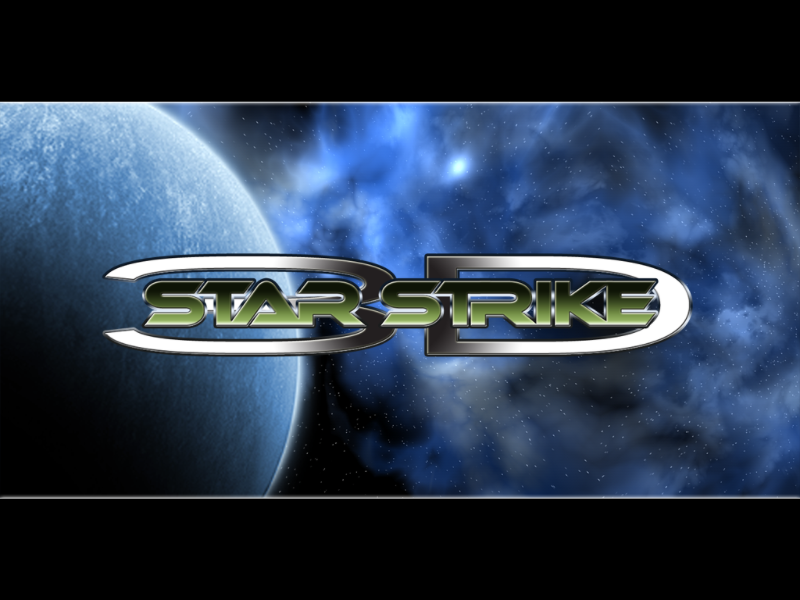 Urban Interactive's 3D Starstrike embodies all the qualities of a classic remake; the visuals and audio have been given a 21st century face-lift, but beneath the surface the game is still undeniably retro. Similar to it's distant arcade relative, the remake is a high-velocity 1st-person rail-shooter that puts the player in the cockpit of a ludicrously outnumbered and outgunned fighter craft with the goal of single-handedly destroying a planet-sized enemy battle station - and there's no respite if you make it through the fight in one piece; following a victory sequence and brief (but very attractive) hyperspace tunnel section, after completing each successful attack you immdiately fly on to face the next more-challenging target with further enhanced defences and enemy fighters. 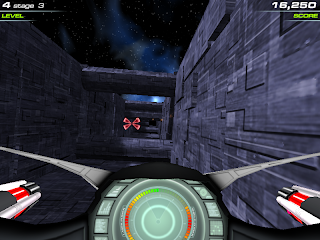 As with the original, the action is both relentless and engrosing; it's the kind of game that you'll load up for a quick blast but end up playing for an hour instead, forever striving to better your previous high score. So what bells and whistles does the remake feature? Well, there's an online score-table function (with some insane scores from the usual indie-gaming suspects and Andrew Nixon himself) and the game presentation is higher quality than most budget releases - especially in the audio department, with an infectious and adrenelin-pumping in-game soundtrack, some superb backing tracks for the menus and credits and suitably fat explosions and laser effects. That said, the graphics are also considerably better than you'd expect from an indie effort, with well-designed and textured enemy fighter models, battle station surface, trench and reactor sections. 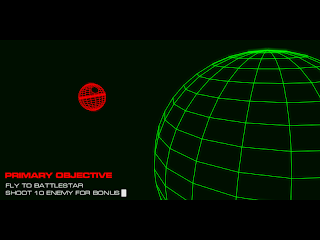 The explosions are particularly impressive, the victory sequence being noteworthy for the superbly executed Deathstar (*cough*) destruction and hyperspace tunnel animations (the latter of which looks remarkably like the sequences played in EA's Darklight Conflict). It's clear that a lot of work has gone into the game's visuals, and Andrew should be proud of what he has achieved. However, there are a few minor quirks that slightly detract from what is otherwise a superb game, the most irksome of which has to be the mouse-only control method. 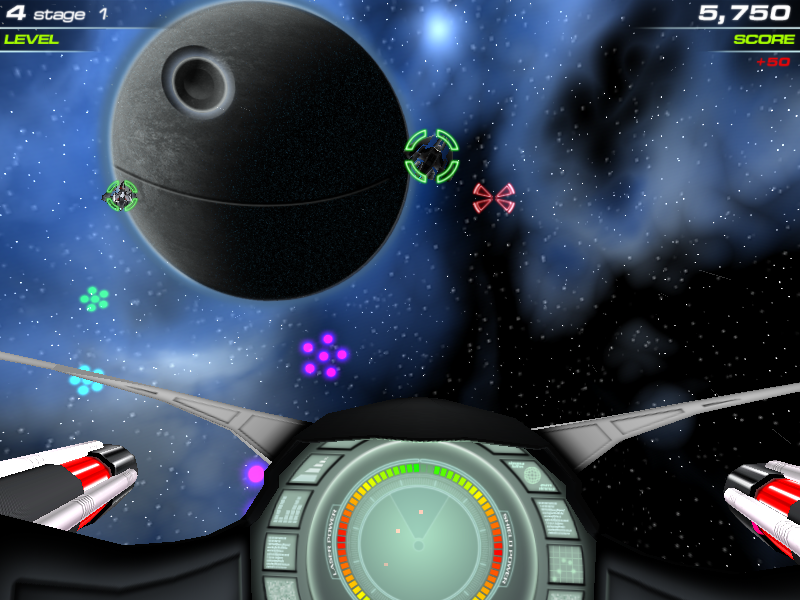 Admittedly, mouse control works well enough in practice but an analogue joystick option would have been more than welcome for that genuine old-school arcade feel; personally I find that piloting a starfighter using a mouse just feels wrong. Also, one of things that I think made the original Star Wars arcade game so special was the way that each stage flowed seamlessly into the next - everyone who played it will remember being awed at the surface approach ("Look at the size of that thing! ", etc. 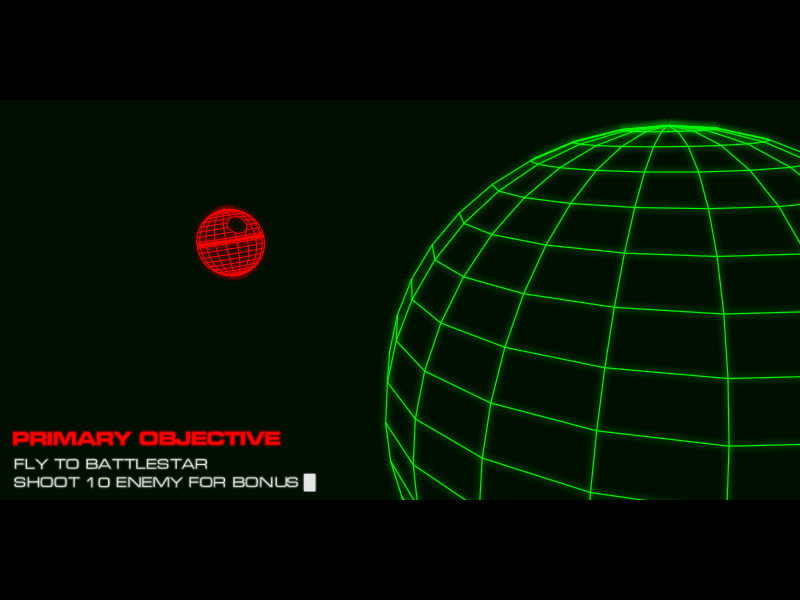 ), but sadly this remake sticks to the same format as the original 3D Starstrike, with the action rudely interupted without warning by a mission briefing screen announcing the next stage. It wouldn't be so bad if there was a clearly defined and displayed time limit for each stage - or even if completion was followed by a brief animation showing your craft moving into the next section. However, as it stands the only stages that flow into each other nicely are the Equatorial Trench and Reactor. These little niggles aren't game-breaking, but they do make a difference to the overall playing experience. Considering the size of the project (and that 3D Starstrike is essentially four mini-games in one) it's no surprise that its development has taken so long. What is surprising is the near-commercial quality and high production values of the end product, especially as this is only Urban Interactive's second release. Andrew has created an awesome remake that ranks up there with the best, and thanks to him Star Wars and Starstrike fans around the world can re-live those epic battles of their youth in this updated version of a classic game. Download the game here (from the Urban Interactive website).